I wake up at daybreak to the smell of burning wood from the campfire. 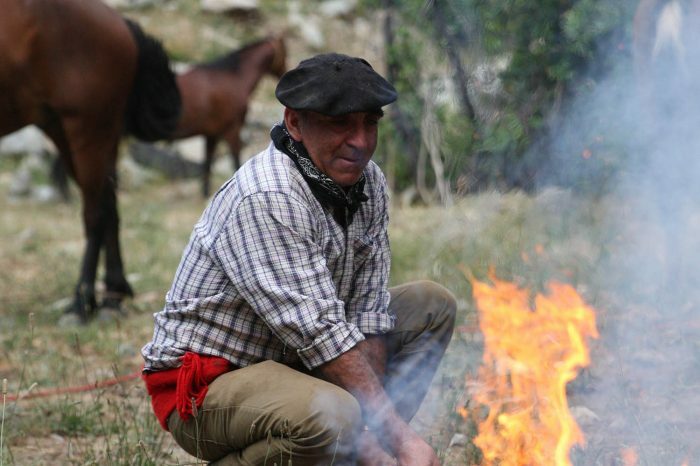 Our Gaucho Danilo has been awake for a long time and has already set a fire with the remaining wood, which is now crackling nicely. It smells of freedom, from my sleeping bag I spy him preparing a maté tea by refilling the small maté pot with boiling water. By now I am fully awake, the daybreak and the good smell make me want to get up. 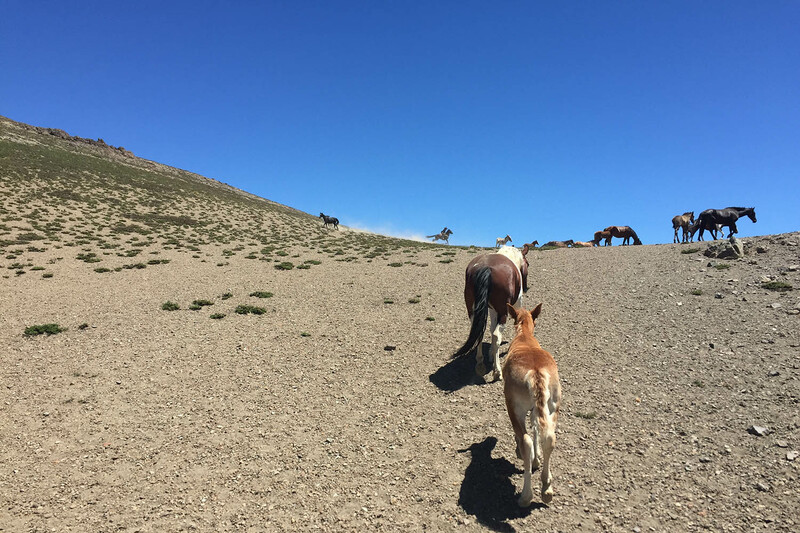 Today we will bring all 40 horses with their 20 foals further up into the Andes. Up there they can then stay during the summer months and enjoy their lives in a beautiful landscape. 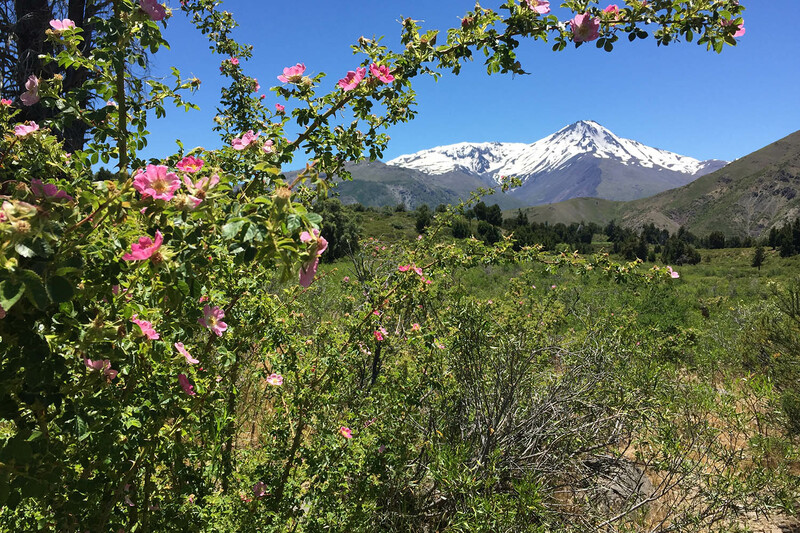 For us, this trek means an incredible experience and a close insight into the Chilean culture. 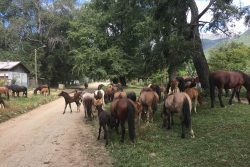 Just two days ago, we collected his horses with their foals from different pastures down in the valley. 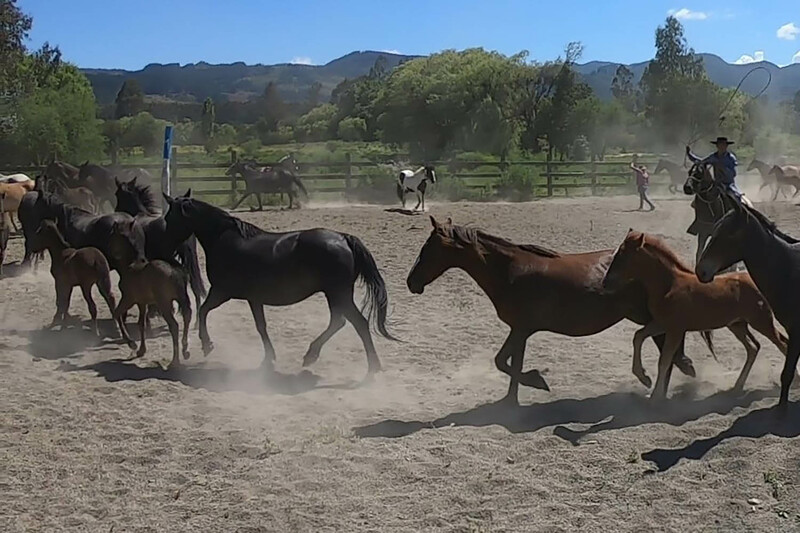 Once we got them together into one paddock, they were mustered, counted and partially vaccinated and branded. 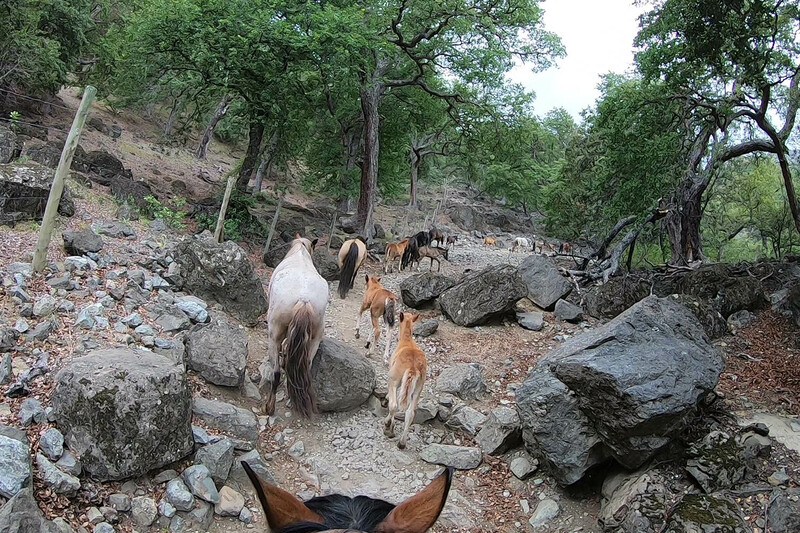 The next day we started with the „Arreo”, the journey with the horses up to the mountains. 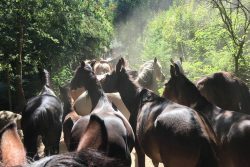 We were in a good mood and had to take care to keep the horses together and not to lose any in the forest. 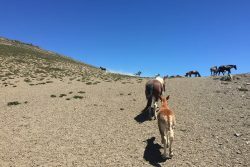 Some horses with their newly born foals are very slow and it took a long time to lead them further up. On the 2nd day we crossed a very steep and rocky section. Continuously we went higher and higher. Once we have passed this difficult section, we took a little rest. 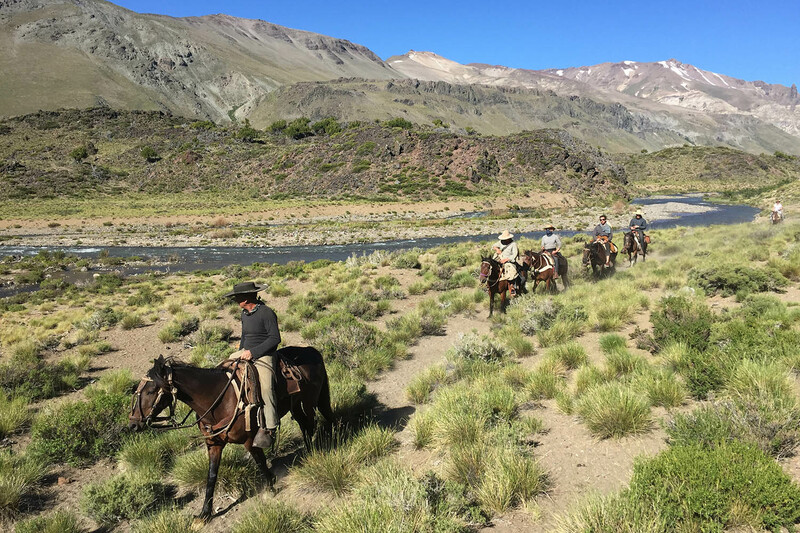 This rest was really enjoyed by the horses as well as by the Gauchos. After 3 days we arrived at the Valley Melado. An absolute paradise! 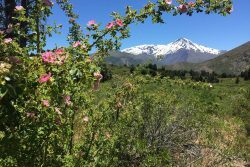 In this beautiful valley, there are several lagoons, lakes and rivers, and it ends near the border to Argentina at Laguna del Maule. The Valley of Melado is still relatively untouched, there are hardly any roads and just a few local people keep their sheep and cows. They live there in summer in very simple huts and come back in the late autumn back down to the valley. It is wonderful to enjoy the nature and the landscape. The power and energy that the inactive volcano San Pedro lends to the environment are remarkable. 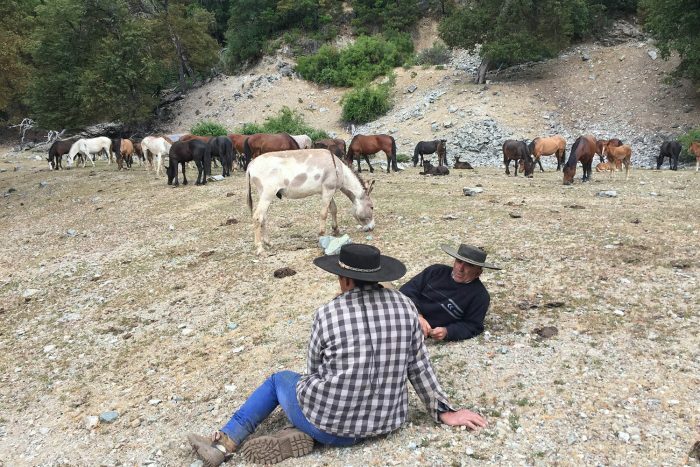 Soon we continue with the horses, until they arrive at their actual summer meadow. We must cross one final range to get there. It gets steeper, cooler and windier. 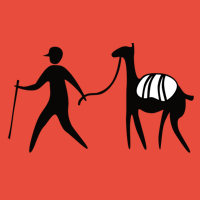 On the high plateau we have some difficulties leading the horses into the right valley. But soon we made it as a team. Due to the deep snow conditions we had to let them go on their own at the last final part as it would be too dangerous for us. But the stallion and his mares now know where they had to go. Every year in December, in the Chilean spring, Gaucho Danilo brings his horses to the Andes. 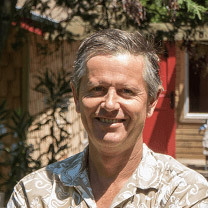 In winter, they are housed at his farm in the valley near Linares. Up in the mountains, the horses have very good food and pasture. 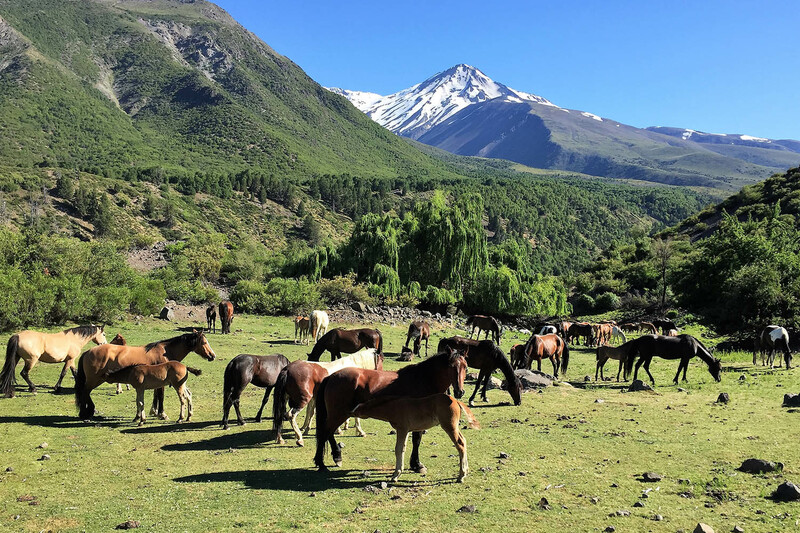 For 20 years Danilo has been breeding horses, training the riding horses by himself and has been providing horse trekking tours for tourists. 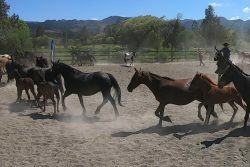 Everything went well with the horses. Now we can ride back and spend some nice, relaxing days up here. 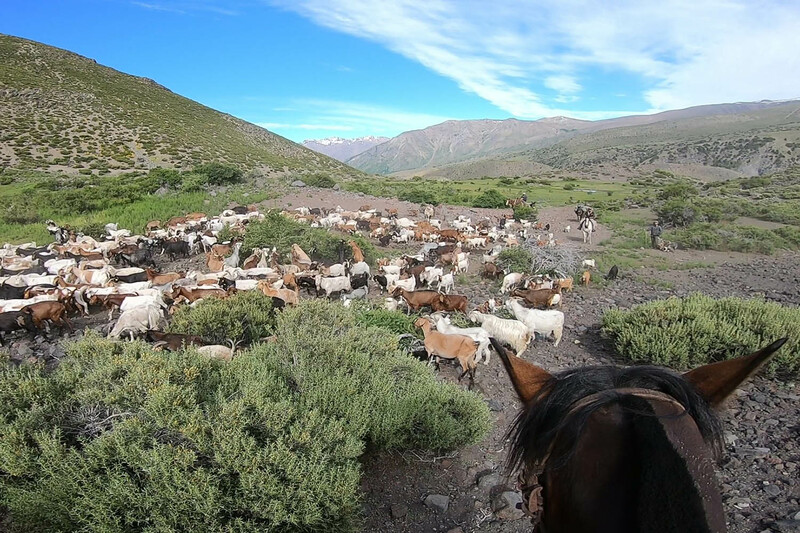 We cross several rivers and meet some locals with their huge goat herd. 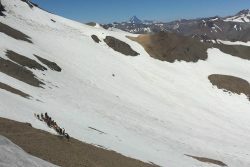 On the penultimate day we are able to enjoy a magnificent panorama on the way to the hot springs. Here we can recover from the last few days at a warm 28 degrees. The hot water is awesome. 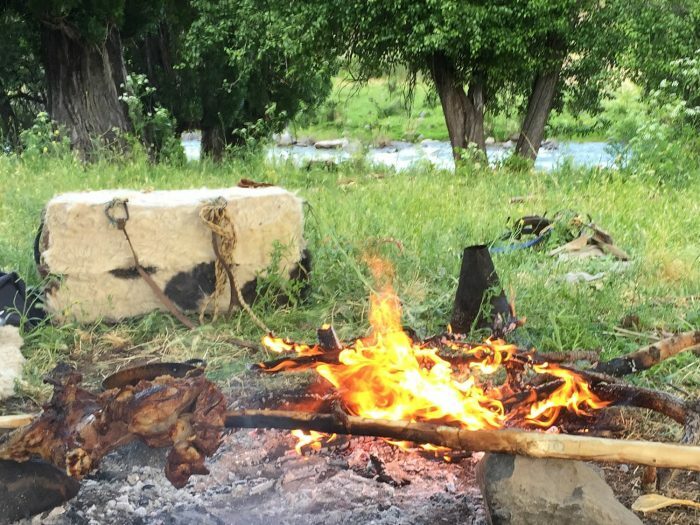 Finally, we have a barbecue by the campfire before heading for home – happy and satisfied but with a bit of sadness because we had to leave this place. 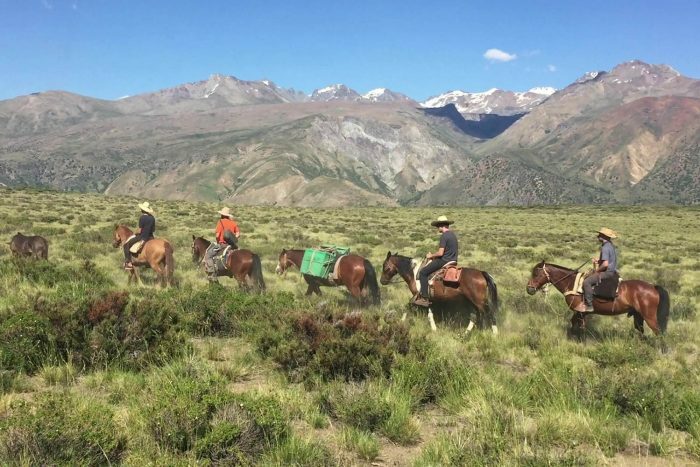 Would you like to join this exciting adventure with horses in the shade of the Andes? 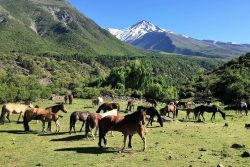 There are several tours like this kind of trekking with the wild horses, a Laguna tour or a discovery tour for 3 days in the valley. Check out for more information in our facebook.